Sand dunes, sandy fields and relic prairies, oak and pine savanna; also along roadsides, railroads, and disturbed places; seems to do well with some disturbance. 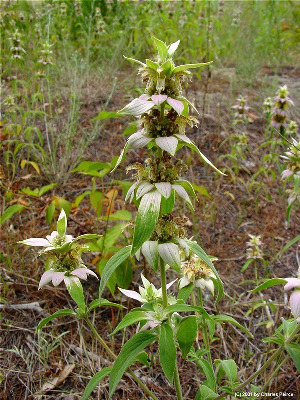 Presumably native in western Michigan as far north as dunes in Leelanau Co.; quite probably adventive elsewhere. MICHIGAN FLORA ONLINE. A. A. Reznicek, E. G. Voss, & B. S. Walters. February 2011. University of Michigan. Web. 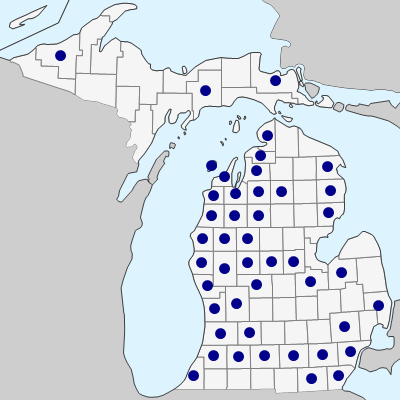 April 21, 2019. https://michiganflora.net/species.aspx?id=1575.